The Church of England, doing its best to support World Mental Health Day in October 2011, suggested that Jesus and John the Baptist – as well as characters like King Saul, Saint Paul and Saint Francis – may all have suffered from conditions that we label mental health problems today. The Church’s points appear to be that a) God works through everyone, and b) we should be tolerant and supportive of those who have such disabilities. The theological implications of suggesting that all the key figures of Christianity were nutters are still being debated. But thank you for widening the debate, Church of England! This entry was posted in Religion and tagged Christianity, Church of England, Daily Express, Jesus, King Saul, mental health, mental illness, Paul, religion, Saint Francis. King Saul, Saint Paul and Saint Francis were actual people, but Jesus was a fictional character. So, do you suppose “Saint” Paul, his creator, give him the same symptoms that he had? I know that many novelists include disguised autobiographical material in their stories. Why not? “Write what you know” is the motto of every writing class. PS: Paul’s writings never claimed that Jesus was born in Bethlehem, lived near Galilee, tore up the Temple in Jerusalem, lived on Earth at all. The Gospel novelists added all the Earthly “biographical” material and fake genealogy decades later. Those are interesting beliefs of yours. What criteria do you use in deciding, for example, that Paul existed but Jesus didn’t? Personally I find overwhelming evidence that Jesus was a fanatically anti-Roman rabbi who led a failed attempt to take over the Temple at Passover, and was executed by the Romans for it. As that was a difficult narrative to sell to the Roman Empire, Paul encouraged distortions of the story. And that’s what this blog and my novel are about. And I think you’re right. The historical Jesus is pretty well documented (as such things go) from what I understand. The mythological Jesus theory is an interesting idea too, though, and some of the arguments are compelling (particularly those that derive from Biblical criticism). These aren’t mutually exclusive propositions anyway. 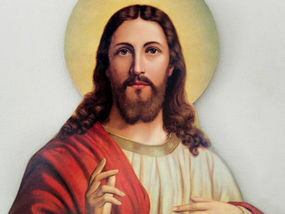 It could be that there was a historical Jesus (who obviously didn’t perform miracles or fulfill the “prophesied” Messiah role) and that the gospels reflect a change in teachings about what Jesus represented: from a persecuted rabbi with a political cause to a mystic who fulfilled some hoary prophesies and claimed to be the savior of mankind. My thoughts exactly, Casey. Succinctly phrased. Where are your historical sources? No wonder the C of E is a dying church. The problem with the “Paul invented Jesus” theory is that Paul mentions that he met Peter and other Gospel guys. If Paul is real, why not Peter? If Peter is real, why not Jesus?